South London native Lianne La Havas was coming of age at 22 when she released her 2012 debut, Is Your Love Big Enough, displaying facets of vigor and vulnerability as she strummed and hummed away. The album was a careful climb towards self, La Havas knowing her limits, but still not being intimidated by them, as she lured listeners by her lush vox and coy lyricals. The approach was endeared many hearts as she gained an admirer out of none other than Prince, but La Havas unquestionably had more to say, and possibly wasn't content to being just simply an indie folk darling. 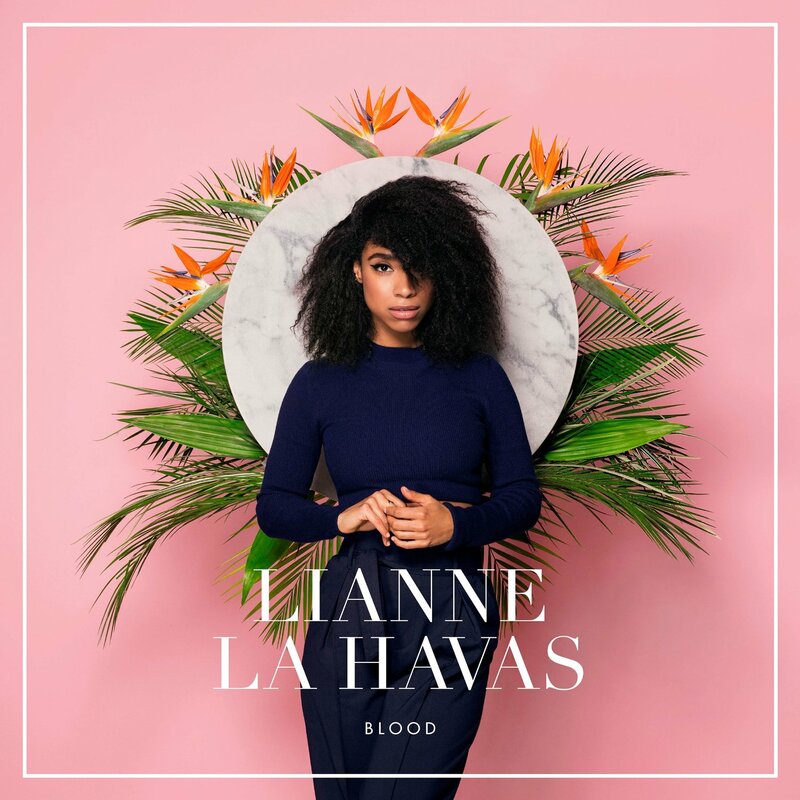 Building from the beauty of her first impression, Blood is La Havas pushing through the soil of youth, slow and pure, flourishing into a new uncharted groundwork that nods towards maturity and growth. La Havas still has her nimble fingers poised on her guitar strings, plucking them to precociously nibble at the earlier, clear-eyed moments of Joan Armstrading and Carly Simon, but her alt-folk has invited in the guest of bass, and well, La Havas' soul just got a bit heavier. As the cartograms of R&B and soul read these days, La Havas could've easily gotten sucked into the vortex of EDM, trap, and every diva yodel that permeates the top 40, but as growth would have it La Havas' skin is thicker and her ear sharper thus she recalculates her route and orbits away from all the trappings and queens, winking just slightly as far as bass is concerned in earthier moments. Aid from producers Paul Epworth (who was responsible for giving Adele's chart-topping 21 that bit of polish), Stephen McGregor, and former collaborator Matt Hales, give her lyrical beds new dimension, and they manage to steer La Havas away from drowning herself in middle road guitar plucks and strings. It was sunny side up when "Unstoppable" premiered earlier this year, a cosmic soul masterpiece swathed with velveteen vocals and symphonic instrumentation that has La Havas scoot from behind the shadows of soulful giants, casting her own. It's almost too massive to contain on the record, but the Jamie Lidell co-produced "Green & Gold" rises to "Unstoppable"'s set bar. A direct commentary on her Jamaican and Greek pedigree, "Green & Gold" revels in the importance of self-discovery, and its airy tropi-soul backdrop lends to almost childlike whimsy as she is nostalgic, but reaching back to press forward with the precise line: "Those eyes you gave to me, they let me see where I come from." Turn a phrase La Havas can, and Blood is laden with them, none so coy as "What You Don't Do" as it winks at a Prince groove and confesses about a turn-on being complete silence. The jazz-pop charm highlight, "Tokyo" is musically as electric and vibrant as its city namesake, yet amid the flourish La Havas can feel those growing pains ache as she reflects on her independence, but also can see the consequences of it when the bout of isolation sets in. Sonically, a vivid ombre effect flows as the album dissipates into lighter, pastel flair. It is more or less La Havas pulling back after expelling all of her feelings in one joyous babbling brook for the first half. The insular gothic feels of previous singles, "No Room For Doubt" and "Lost & Found" aren't quite as replicated on "Ghost" and "Good Goodbye", but a quiet maturity and beauty resides in this duo to where they are effective and give La Havas leverage to coin herself a balladeer. More stunning is the beautiful calm of "Wonderful" and it is the ballad of choice as La Havas' guitar strums caress the tale of recounting an old love affair: "You can trip, flick a switch negative / Break the circuit between us / But electricity lingers / In our fingers." --- like I said, La Havas can beautifully turn a phrase. A ripple into the dreamy flow is "Never Get Enough" where La Havas tries to insert her lithe vocal into a thrashing wave of rock guitars and percussion. Applause for taking the dare, but the truth is that La Havas' can't do what her contemporary Alice Smith could vocally do with this particular piece. Still it's execution is all a part of the learning game, and La Havas has at least the gumption to do so, whereas the thematic "Grow" is a better showcase of how she can go from a whisper to a scream, as it flicks back-and-forth from a soft acoustic strums into a flurry of percussion, La Havas' voice a glittering orb in the midst of it. Growing up is hard to do, but Lianne La Havas shows us the beauty and purity of going from little girl lost to woman found, making the journey worthwhile. Down-to-earth, but still stylishly in vogue, Blood, is champagne you can sip with a curly straw, because why grow up totally? Blood is available for purchase and download via iTunes, as well as ready to stream via Spotify.